Book clubs are super fun to be a part of. They help bring people together, establish deeper friendships, foster ideas, opinions, and hey, they’re a great reason to have a little party. 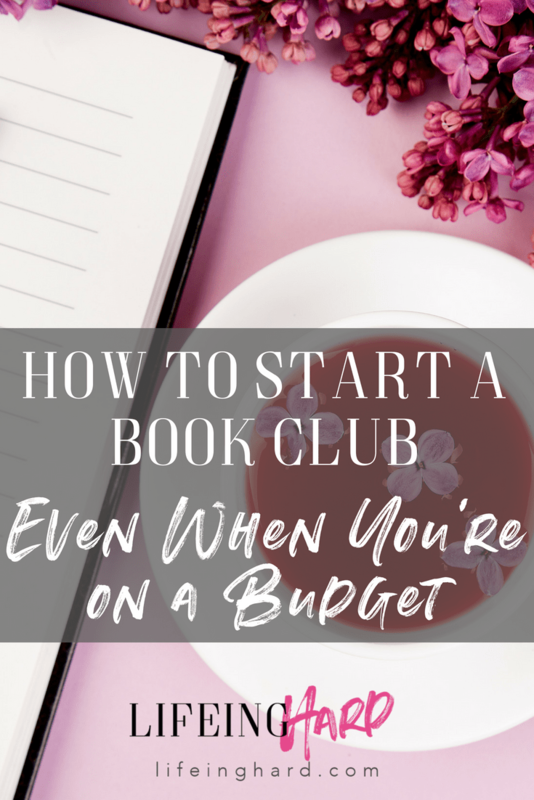 I’m going to go over some tips on how to start a book club – a successful one where people actually show up – even when you’re on a budget. The first step is to pick the book to read first. Pick something new and fresh off of Amazon or from a local independent/self-published author that’s in your community (hint – we’re pretty easy to find on Facebook and are VERY approachable – just don’t ask for any free books unless we have one listed on our websites). Some people make the mistake of trying to start the group and THEN pick the book. It’s much easier to gain interest in something and want to be a part of a group when you know what’s going to be involved. Invite your friends and acquaintances. Ask them to invite some people they know. Soon you’ll have a healthy group of 8-12 people who will all be reading the same thing and will definitely want to be a part of it. You don’t want the group to be TOO big, but not too small either. Just in case someone can’t make it. Rules in book clubs are like the equivalent of Fight Club. You don’t talk about the book outside of your book club group, and you don’t discuss your book club outside your group, either. This is a tight-nit set of people that you will enjoy getting to know, and it should be a group decision once it’s established whether to grow it or allow visitors. Next, set the reading dates or monthly gatherings. Decide whether you want the group to finish the whole book, half, or in chapters. I feel that it’s best to have the whole book read and a month notice or timeframe is more than enough time to ask group members to finish a 300-page book. When authors send out ARCs (advance review copies), a month is considered standard. Do you want to have an attendance requirement? What do you do if someone stops coming – disinvite them? Wish them well? Send them an email notice? These things are a bit touchy, but if people know what the standards are for the group well in advance, and if they find they can’t continue to commit time to their reading for the group, it’s best to allow them to move on and welcome a new member. What if someone shows up and hasn’t read the book? Trust me, you’ll be able to tell. Do you go all Book Club Mafia on them? I love going to book clubs specifically for the recipe exchanges we end up having. And the wine. Don’t get me started on the wine! Some people in my group, for example, go all out and have the most expensive bottles of wine to share, get gourmet this and that, and really put out a spread. Others in my group are more budget-friendly and go for the cheaper wines like Arbor Mist and box wine. There’s nothing wrong either way. We all have a great time, talk about the wine, the food, and oh yeah – the book! You could easily participate in book club on a budget as low as less than $10. $6.99 for a bottle of Arbor Mist to share (Walmart) and $2.99 for a Kindle edition book. Or, you could go more spendy with deli take-out, a charcuterie board and a $38 bottle of wine and a paperback book. Whatever trips your trigger is totally your choice! Just know you have options. One of THE best ways to get the most out of the book is to email the author, in advance directly, and let him/her know that you’re going to be reading their book as part of your book club. They’ll be delighted. Trust me. Ask if they’ve put together any book club discussion worksheets or tips for discussion. If they have, they’ll send you a copy. If not, have one of you leading the group read it in advance and put together some discussion points. Always check the charts on what’s trending on Amazon. Go for the books that are 50-500 in rank – a little less popular than the top 50 in each genre that will help your group stay original and perhaps even unique with the book choices. Try to go indie each and every time you select a book to read. We appreciate you that much more! Perhaps come up with a selection of 5 choices, and take a vote, or put them in a fish bowl and select the next book by random by allowing all your members to participate in putting recommendations into the fish bowl. What other ideas do you have for book club night? Have some fun memories or experiences you’d like to share?